Product prices and availability are accurate as of 2019-04-18 17:26:04 EDT and are subject to change. Any price and availability information displayed on http://www.amazon.com/ at the time of purchase will apply to the purchase of this product. 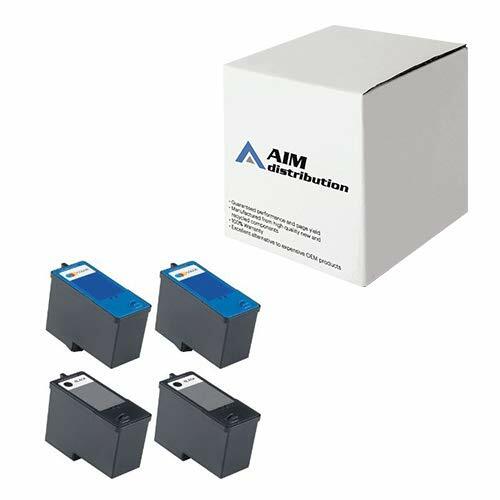 AIM @ Dell Compatible 946/A946 Inkjet Combo Pack (2-BLK/2-CLR) (Series 5/Series 8) (2B2C946) - Generic Our compatible toner, inkjet cartridges, ribbons, copier, fax and other supplies are constructed to original OEM specifications. Guaranteed Superior Quality to Meet or Exceed High Priced OEM Products Our Products are manufactured with new components and air-sealed in an ISO-9001, ISO-9002, ISO-14001 quality certified factory. Our Products are Engineered and Manufactured for use in 110V machines (unless specified in title) in North America. 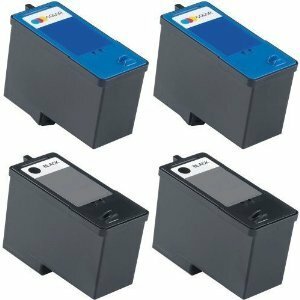 The use of our supplies does not void your machines warranty. Manufacturer Brand Names, Reference Part Numbers and Logos are registered trademarks of their respective owners. Any and all brand name designations or references are made solely for purposes of demonstrating compatibility. Pictures are used as Reference. Products are based on Description.